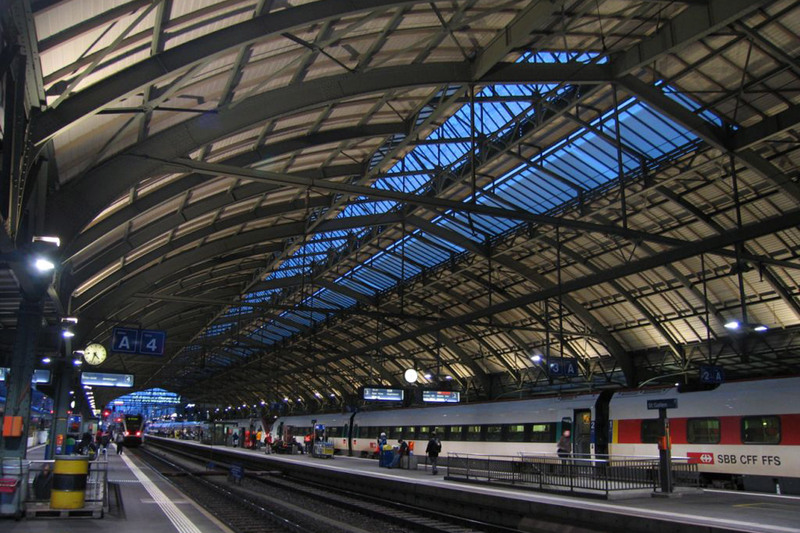 The St. Gallen train station hall is an architectural icon constructed in an impressive steel-glass structure which dates back to 1915. The visitor-related infrastructure – mainly lighting, signage and audio systems, have been upgraded intermittently since its original opening, most recently some 30 years ago. The systems therefore were in need of a substantial upgrade to 21st Century standards. The goal of project architect Ernst Basler + Partner (www.ebp.ch), was to replace all the existing individual systems with one unified system, with the lighting, signage and audio needs integrated into the same joint mechanical structure. The Walters-Storyk Design Group (www.wsdg.com) was chosen as the acoustical consultant to work hand in hand with the architect to design and specify the new electroacoustical system. The electroacoustical installation provides travelers with scheduling information, track changes, updates and other vital announcements. 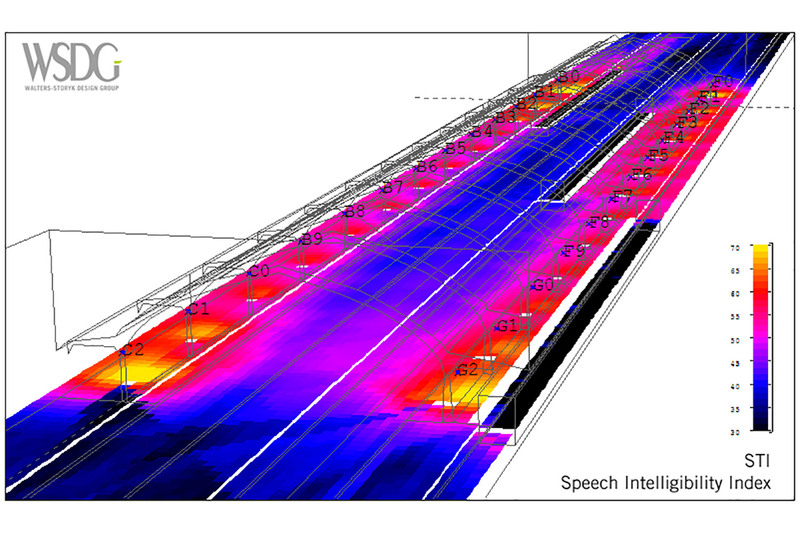 High quality speech intelligibility is critical. 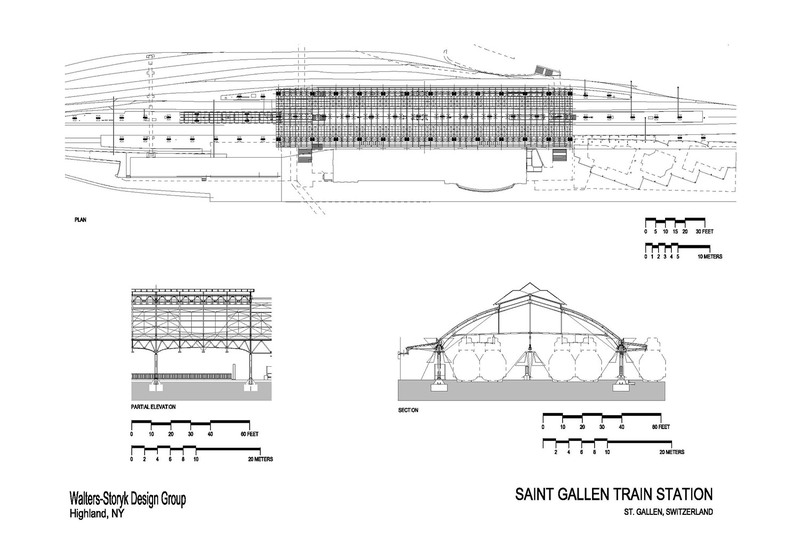 WSDG European GM Dirk Noy reports that because the St. Gallens station hall has a typical longitudinally stretched extrusion geometry, the use of a repetitive pattern for the technical installations presented the optimal installation configuration. 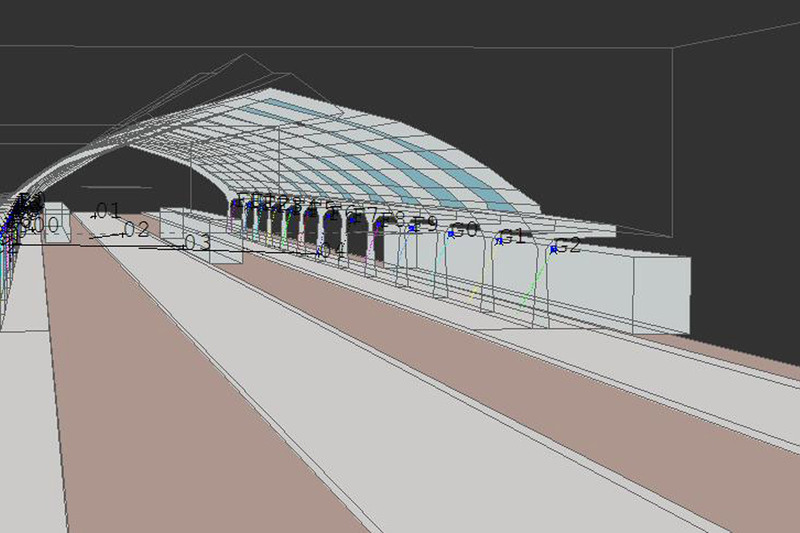 Extensive electro acoustical simulations and calculations were performed by WSDG to study various installation and equipment options and determine whether the specified systems would meet the stringent performance requirements for coverage, level and speech intelligibility. 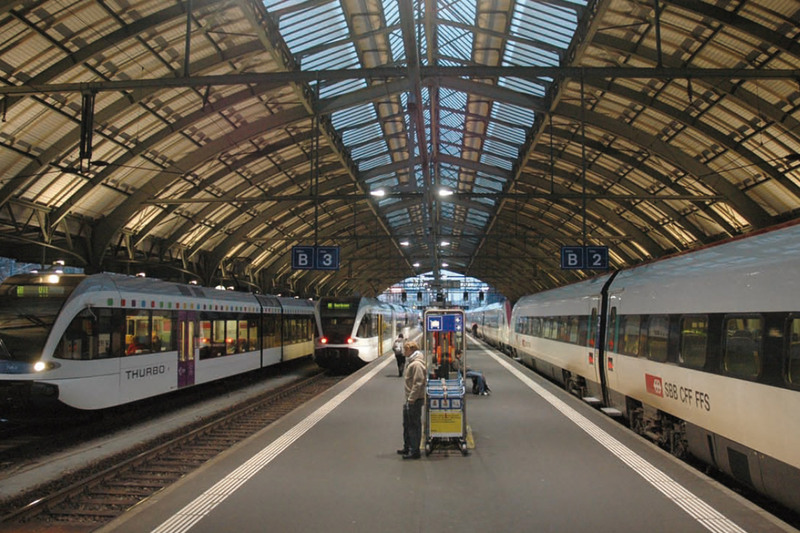 Three sound system options – complete with an auralisation for a virtual listening experience – were presented to the architect and their client – the Swiss National Railroad Corporation SBB (www.sbb.ch). The selected installation method is a distributed loudspeaker system comprised of approximately 100 identical Bosch LPC3432 point sources (www.bosch.com). The speakers were installed at a height of 4.5m (about 14 feet) over the tracks. Research confirmed that this positioning significantly reduces undesired acoustic excitation of reverberation in the hall, and contributes to greatly enhanced intelligibility. 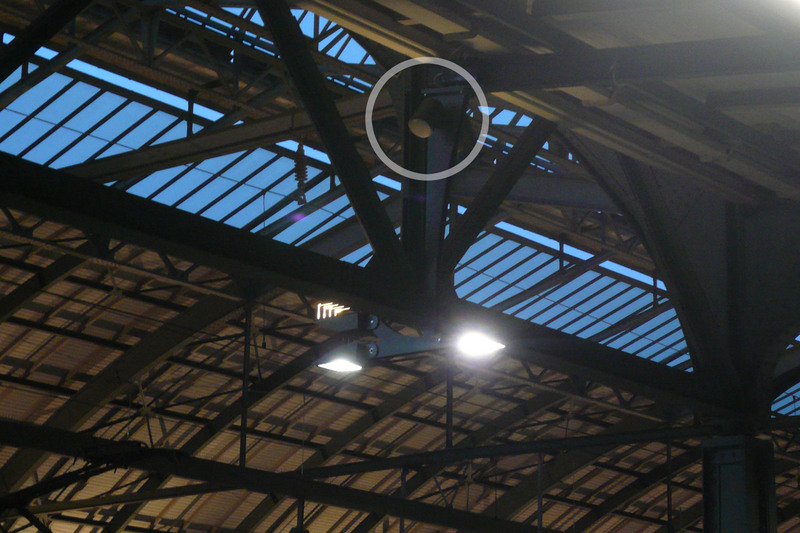 Two weatherproof broadband loudspeakers were mounted at each installation point in parallel to the direction of the tracks, and tilted slightly downwards. The speakers themselves as well as the necessary wiring is integrated within the same steel structure used for the lighting fixtures and signage systems at certain locations. 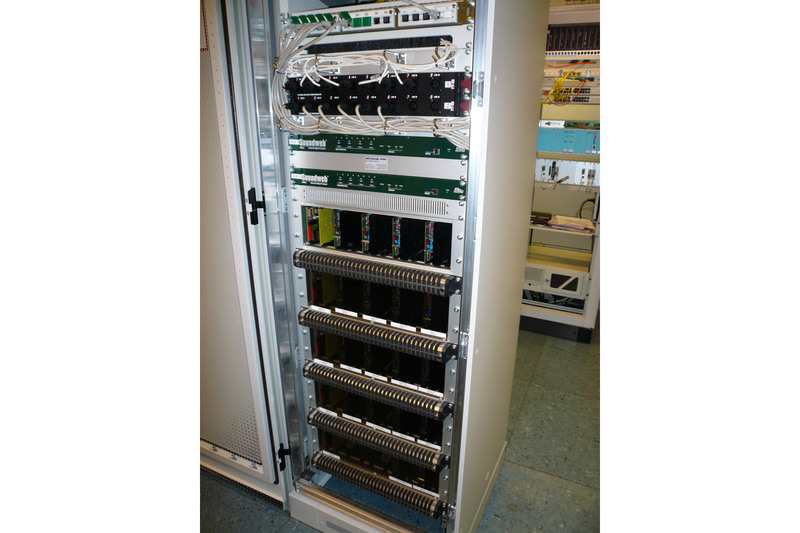 To achieve a redundancy, the speakers are wired in parallel, insuring uninterrupted audio messaging in case of a failure of one or several loudspeakers in a particular zone. The audio signals are routed through a BSS Soundweb digital signal processor (www.bssaudio.com/). This device delivers the incoming announcements to the installed loudspeakers in a proper dynamic and frequency range, and also provides an automatic volume adjustment. The announcement sound level is adjusted in real time by an ambient noise compensation algorithm (integrated in the DSP software, and driven by specifically hung Sennheiser listening microphones (www.sennheiser.com). This system constantly monitors sound levels on the tracks and automatically adjusts signal volume. Announcements made during the passing of a train are automatically increased in volume; and lowered when the trains are not moving. A special timing option offers abation of the volume correction at night in consideration of the quality of life of the local residents. The digital signal processor is controlled by a wireless network (WLAN), enabling laptop computer control for maintenance and re-setting DSP parameters directly from the tracks. When no maintenance work is taking place this functionality is disabled.